Although there are plenty of talented young idols in the industry, TWICE‘s Chaeyoung has stood out to many fans and experts for her wide variety of talents. Chaeyoung is TWICE’s main rapper and co-maknae along with fellow 99-line member Tzuyu, but she also excels at singing, drawing, and lyric-writing as well. With such a wide range of skills, Chaeyoung has been praised for being the complete package, which allowed her to excel during the group’s pre-debut survival show SIXTEEN. Among her many talents, here are jut a few that prove that she’s essentially great at everything she tries. Chaeyoung has proven again and again that she deserves to be a main rapper. In fact, she even impressed veteran rapper San E with her abilities. She’s proven herself as a vocalist as well, singing the lead parts in TWICE’s “Precious Love” and even releasing a full cover of “Alone” by Cheeze. Chaeyoung’s cover of Alone by Cheeze for TWICE Melody Project. Everything she does is adorable! 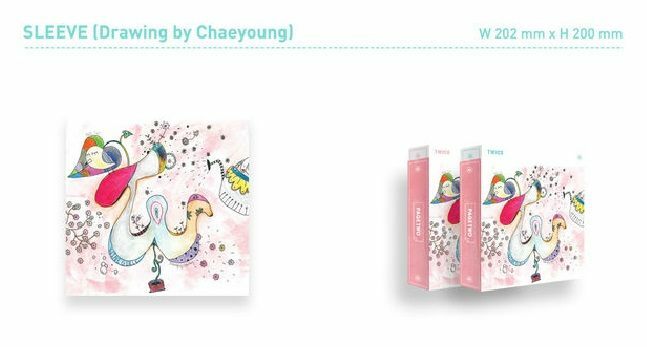 Fans are definitely familiar with Chaeyoung’s drawings! In addition to designing the cover for TWICE’s limited edition Page Two album and some concert merchandise, she also designed three different pairs of SPRIS shoes. Although she’s still in high school, Chaeyoung is already quite skilled at writing lyrics. She’s even performed some of her self-composed raps on stage before! Not everyone can pull off both long and short hair, but Chaeyoung has proven time and time again that she can really look perfect in any hairstyle! 8. ReactionsShe’s literally breathing fire! In her words, every centimeter counts!